if I understand correctly, configuring an app by iOS7’s “Managed app configuration” should also work for MDM-controlled apps deployed via a redemption URL (for instance, the one that the B2B/VPP combination would provide), not necessarily for manually uploaded apps via IPA. 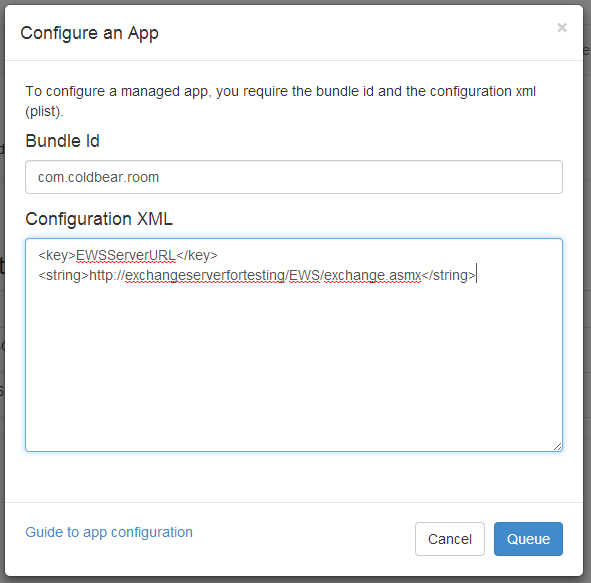 Do you have any plan of supporting URL install in your testMDM app? Internally the app gets installed via a URL, so it wouldn’t take much. I can have that deployed tomorrow if it’s something you’re interested in having? Hi Vinod, when you say “pull config settings from MDMServer”, I don’t know what you mean. Can you elaborate? A question here : does Managed App Configuration also support the “I am the production/appstore, i want a hardcoded URL for security reasons” ? And still be able to get the dynamic configuration it provides for testing ( using a MDM )? Yes, if I’m understanding your question correctly. You can deploy an app to the store that is preconfigured with the necessary settings. The MDM could then override those settings. This behaviour is down to your app, of course, reading the Configuration provided by the MDM and applying the overrides. Does that help?